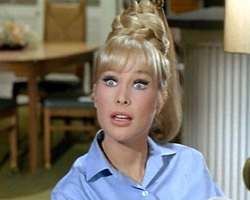 Barbara Eden will forever be known as the hot bottled blonde from the TV hit I Dream of Jeannie. 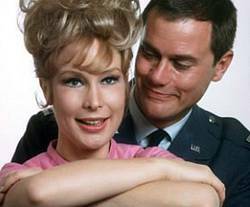 On the show, she was discovered by a swinging astronaut who for some inexplicable reason played the field instead of letting Barbara make all his wishes come true. Only a spaced-out man would turn down the amorous charms of the shapely, barely dressed Arabian arouser.